Anxieties over Muslims in America emerged in a spate of hate crimes as well as in high-profile controversies like the one over the construction of an Islamic center near Ground Zero in 2010. 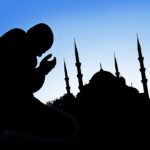 Some politicians and activists said Islam’s legal code, known as Shariah, was another threat to the United States that had to be countered. On Election Day in 2010, for example, voters in Oklahoma voted on a ballot measure to ban judges from using Shariah in reaching their decisions. In Nevada, Sharron Angle, a Republican nominee for the U.S. Senate, made controversial claims about Shariah’s influence in America, while former U.S. House Speaker Newt Gingrich had for months been voicing objections to what he sees as the threat of Shariah law. Legal and religious experts tended to discount many of these concerns as overreactions or misreadings of the legal realities. They said that Shariah (sometimes lowercase and/or spelled sharia) in the Western context is analogous to the Catholic Church’s Code of Canon Law or the laws of other religious groups that govern their internal workings. Such religious strictures cannot trump American laws, they say. Still, arguments over the proper reading and role of Shariah — arguments that are part of any law code requiring interpretation — were sharp even within Islam, as experts differed as to whether Shariah is fair to women, for example, especially in Muslim countries where Islamic law holds sway. Others said these internal Islamic debates were also sharpened as the number of Muslims in the West grows. Concern over the adoption of Shariah in Western countries was sparked in 2005 when authorities in Ontario, Canada’s most populous province, were considering whether to add Islamic law to a legal arbitration process that allowed Catholic and Jewish faith-based tribunals to settle family law matters like divorce on a voluntary basis. There was such an outcry that the provincial government decided to scrap the faith-based program for all religions. Read an Oct. 19, 2010, Council on Foreign Relations interview with John C. Green of the Pew Forum on Religion & Public Life, who says that although voters are primarily concerned about jobs and the economy, they may also feel growing anxiety about Islam and the cultural and ethnic changes in the country. Read an Oct. 12, 2010, column by Reza Aslan at The Daily Beast about the push to ban Shariah. At the website of The New Republic, James Downie critiques that view in a Sept. 3, 2010, post. Read a July 18, 2010, story in the Tulsa World about State Question 755 on Oklahoma’s November 2010 ballot.